Understandable explanations for over 500 of the most troublesome passages in the Bible. Some passages of the Bible are just more difficult to understand than others — because of what they ask us to do, because they challenge our preconceived notions, or simply due to cultural differences from when the Bible was written. Whatever the reason, Hard Sayings of the Bible can help! 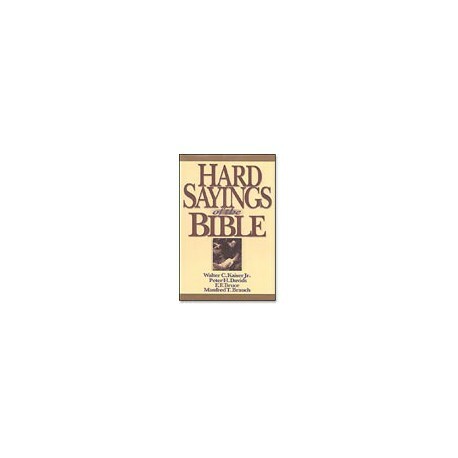 Hard Sayings of the Bible gives you understandable explanations for over 500 of the most troublesome passages in the Bible. It resolves a wide variety of Bible difficulties, ranging from discrepancies about dates and numbers to questions about God's justice. You get trustworthy historical, cultural and linguistic background that sheds light on what each passage meant in biblical times. Each article upholds the inerrancy of the Scriptures without explaining away the passage in question. And helps you to understand how the information is relevant for you today. 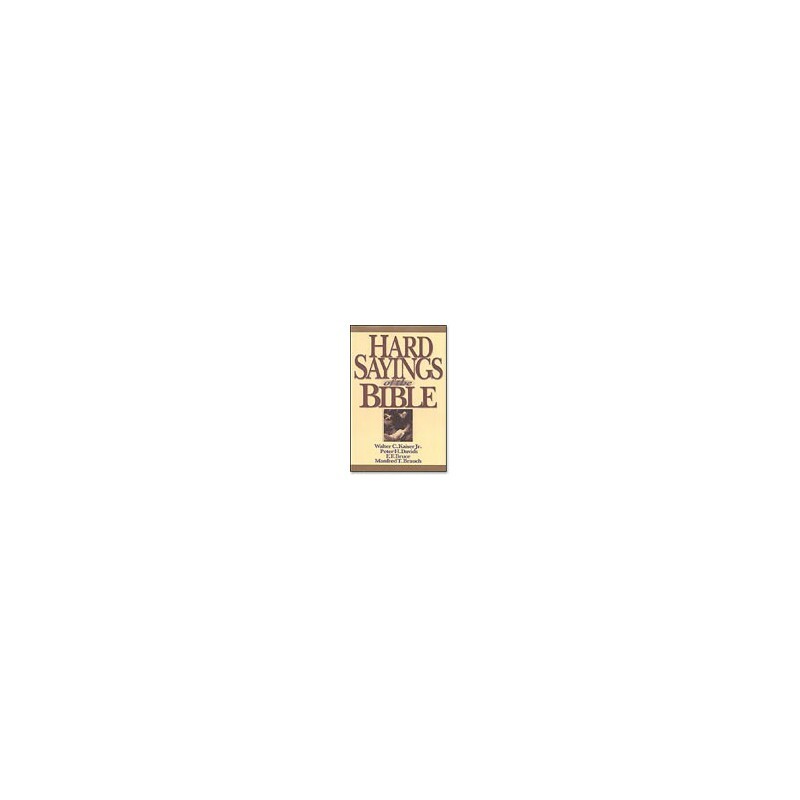 Hard Sayings also addresses common questions believers and non-believers raise about the Bible. In 12 introductory articles, it helps you to understand the following issues for yourself and feel confident to explain them to others: How do we know who wrote the Bible? Can we believe in Bible miracles? Why does God seem so angry in the Old Testament and loving in the New? Aren't many Old Testament numbers wrong? Why don't Bible genealogies always match up? Do the dates of the Old Testament kings fit secular history? Does archaeology support Bible history? When the prophets say, “The word of the Lord came to me,” what do they mean? Are Old Testament prophecies really accurate? Why doesn't the New Testament always quote the Old Testament accurately? Are the New Testament accounts of demons true? Why are there four different Gospels?